Android is a mobile operating system (OS) based on the Linux kernel and currently developed by Google. With a user interface based on direct manipulation, Android is designed primarily for touchscreen mobile devices such as smartphones and tablet computers, with specialized user interfaces for televisions (Android TV), cars (Android Auto), and wrist watches (Android Wear). The OS uses touch inputs that loosely correspond to real-world actions, like swiping, tapping, pinching, and reverse pinching to manipulate on-screen objects, and a virtual keyboard. Despite being primarily designed for touchscreen input, it also has been used in game consoles, digital cameras, regular PCs and other electronics. Android is the most widely used mobile OS and, as of 2013, the most widely used OS overall. Android devices sell more than Windows, iOS, and Mac OS X devices combined, with sales in 2012, 2013 and 2014 close to the installed base of all PCs. As of July 2013 the Google Play store has had over 1 million Android apps published, and over 50 billion apps downloaded. A developer survey conducted in April–May 2013 found that 71% of mobile developers develop for Android. At Google I/O 2014, the company revealed that there were over 1 billion active monthly Android users, up from 538 million in June 2013. Android, Inc. was founded in Palo Alto, California in October 2003 by Andy Rubin (co-founder of Danger), Rich Miner (co-founder of Wildfire Communications, Inc.), Nick Sears (once VP at T-Mobile), and Chris White (headed design and interface development at WebTV) to develop, in Rubin's words, "smarter mobile devices that are more aware of its owner's location and preferences". The early intentions of the company were to develop an advanced operating system for digital cameras, when it was realized that the market for the devices was not large enough, and diverted their efforts to producing a smartphone operating system to rival those of Symbian and Windows Mobile. Despite the past accomplishments of the founders and early employees, Android Inc. operated secretly, revealing only that it was working on software for mobile phones. That same year, Rubin ran out of money.Steve Perlman, a close friend of Rubin, brought him $10,000 in cash in an envelope and refused a stake in the company. Since 2008, Android has seen numerous updates which have incrementally improved the operating system, adding new features and fixing bugs in previous releases. Each major release is named in alphabetical order after a dessert or sugary treat; for example, version 1.5 Cupcake was followed by 1.6 Donut. The latest released version, 4.4.4 KitKat, appeared as a security-only update; it was released on June 19, 2014, shortly after the release of 4.4.3. As of October 2014, newest version of the Android operating system, Android 5.0 "Lollipop", is available only as a developer preview. From 2010 to 2013, Hugo Barra served as product spokesperson for the Android team, representing Android at both press conferences and Google I/O, Google’s annual developer-focused conference. Barra’s product involvement included the entire Android ecosystem of software and hardware, including Honeycomb, Ice Cream Sandwich, Jelly Bean and KitKat operating system launches, the Nexus 4 and Nexus 5 smartphones, the Nexus 7 and Nexus 10 tablets, and other related products such as Google Now and Google Voice Search, Google’s speech recognition product comparable to Apple’s Siri. In 2013 Barra left the Android team for Chinese smartphone maker Xiaomi. Android devices boot to the homescreen, the primary navigation and information point on the device, which is similar to the desktop found on PCs. Android homescreens are typically made up of app icons and widgets; app icons launch the associated app, whereas widgets display live, auto-updating content such as the weather forecast, the user's email inbox, or a news ticker directly on the homescreen. A homescreen may be made up of several pages that the user can swipe back and forth between, though Android's homescreen interface is heavily customisable, allowing the user to adjust the look and feel of the device to their tastes. Third-party apps available on Google Play and other app stores can extensively re-theme the homescreen, and even mimic the look of other operating systems, such as Windows Phone. Most manufacturers, and some wireless carriers, customise the look and feel of their Android devices to differentiate themselves from their competitors. Since Android devices are usually battery-powered, Android is designed to manage memory (RAM) to keep power consumption at a minimum, in contrast to desktop operating systems which generally assume they are connected to unlimited mains electricity. When an Android app is no longer in use, the system will automatically suspend it in memory – while the app is still technically "open", suspended apps consume no resources (for example, battery power or processing power) and sit idly in the background until needed again. This has the dual benefit of increasing the general responsiveness of Android devices, since applications do not need to be closed and reopened from scratch each time, and also ensuring that background applications do not consume power needlessly. Android manages the apps stored in memory automatically: when memory is low, the system will begin killing apps and processes that have been inactive for a while, in reverse order since they were last used (oldest first). This process is designed to be invisible to the user, such that users do not need to manage memory or the killing of apps themselves. However, confusion over Android memory management has resulted in third-party task killers becoming popular on Google Play store; these third-party task killers are generally regarded as doing more harm than good. The main hardware platform for Android is the 32-bit ARMv7 architecture. The Android-x86 project provides support for the x86 architecture, and Google TV uses a special x86 version of Android. In 2012, Intel processors began to appear on more mainstream Android platforms, such as phones. In 2013, Freescale announced support for Android on its i.MX processor, specifically the i.MX5X and i.MX6X series. As of November 2013, Android 4.4 recommends at least 512 MB of RAM, while for "low RAM" devices 340 MB is the required minimum amount that does not include memory dedicated to various hardware components such as the baseband processor. Android 4.4 requires a 32-bit ARMv7, MIPS or x86 architecture processor (latter two through unofficial ports), together with an OpenGL ES 2.0 compatible graphics processing unit (GPU). Android supports OpenGL ES 1.1, 2.0 and 3.0. Some applications explicitly require a certain version of the OpenGL ES, thus suitable GPU hardware is required to run such applications. Android devices incorporate many optional hardware components, including still or video cameras, GPS, orientation sensors, dedicated gaming controls, accelerometers, gyroscopes, barometers,magnetometers, proximity sensors, pressure sensors, thermometers, and touchscreens. Some hardware components are not required, but became standard in certain classes of devices, such as smartphones, and additional requirements apply if they are present. Some other hardware was initially required, but those requirements have been relaxed or eliminated altogether. For example, as Android was developed initially as a phone OS, hardware such as microphones were required, while over time the phone function became optional. Android used to require an autofocus camera, which was relaxed to a fixed-focus camera if it is even present at all, since the camera was dropped as a requirement entirely when Android started to be used on set-top boxes. In addition to running on smartphones and tablets, it is possible to run Android natively on regular PC hardware with a keyboard and a mouse, with versions of Android, including 4.4, downloadable from the Android-x86 project. Chinese companies are building a PC and mobile operating system, based on Android, to "compete directly with Microsoft Windows and Google Android". The Chinese Academy of Engineering noted that "more than a dozen" companies were customising Android following a Chinese ban on the use of Windows 8 on government PCs. The green Android logo was designed for Google in 2007 by graphic designer Irina Blok. The design team was tasked with a project to create a universally identifiable icon with the specific inclusion of a robot in the final design. After numerous design developments based on science-fiction and space movies, the team eventually sought inspiration from the human symbol on restroom doors and modified the figure into a robot shape. As Android is open-sourced, it was agreed that the logo should be likewise, and since its launch the green logo has been reinterpreted into countless variations on the original design. Google provides major upgrades, incremental in nature, to Android every six to nine months, which most devices are capable of receiving over the air. The latest major release is Android 4.4 "KitKat". Android consists of a kernel based on the Linux kernel long-term support (LTS) branch. As of January 2014, current Android versions are built upon Linux kernel 3.4 or newer, but the specific kernel version number depends on the actual Android device and chipset. Android has used various kernels since its first 2.6.25. Android's Linux kernel has further architectural changes that are implemented by Google outside the typical Linux kernel development cycle, such as the inclusion of components like Binder, ashmem, pmem, logger, wakelocks, and different out-of-memory (OOM) handling. Certain features that Google contributed back to the Linux kernel, notably a power management feature called "wakelocks", were rejected by mainline kernel developers partly because they felt that Google did not show any intent to maintain its own code. Google announced in April 2010 that they would hire two employees to work with the Linux kernel community, but Greg Kroah-Hartman, the current Linux kernel maintainer for the stable branch, said in December 2010 that he was concerned that Google was no longer trying to get their code changes included in mainstream Linux. Some Google Android developers hinted that "the Android team was getting fed up with the process," because they were a small team and had more urgent work to do on Android. Android's standard C library, Bionic, was developed by Google specifically for Android, as a derivation of the BSD's standard C library code. Bionic itself has been designed with several major features specific to the Linux kernel. The main benefits of using Bionic instead of the GNU C Library (glibc) or uClibc are its different licensing model, smaller runtime footprint, and optimization for low-frequency CPUs. On top of the Linux kernel, there are the middleware, libraries and APIs written in C, and application software running on an application framework which includes Java-compatible libraries based on Apache Harmony. Development of the Linux kernel continues independently of other Android's source code bases. Android uses the Dalvik virtual machine with just-in-time compilation (JIT) to run Dalvik "dex-code" (Dalvik Executable), which is usually translated from the Java bytecode. Android 4.4 also supports new experimental runtime, Android Runtime (ART), which is not enabled by default. Aiming for a more suitable licensing model, toward the end of 2012 Google switched the Bluetooth stack in Android from the GPL-licensed BlueZ to the Apache-licensed BlueDroid. Android does not have a native X Window System by default, nor does it support the full set of standard GNU libraries. This made it difficult to port existing Linux applications or libraries to Android, until version r5 of the Android Native Development Kit brought support for applications written completely in C or C++. 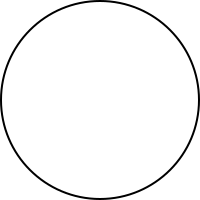 Libraries written in C may also be used in Java application by injection of a small Java shim and usage of the JNI. Historically, device manufacturers and mobile carriers have typically been unsupportive of third-party firmware development. Manufacturers express concern about improper functioning of devices running unofficial software and the support costs resulting from this. Moreover, modified firmwares such as CyanogenMod sometimes offer features, such as tethering, for which carriers would otherwise charge a premium. As a result, technical obstacles including locked bootloaders and restricted access to root permissions are common in many devices. However, as community-developed software has grown more popular, and following a statement by the Librarian of Congress in the United States that permits the "jailbreaking" of mobile devices, manufacturers and carriers have softened their position regarding third party development, with some, including HTC, Motorola, Samsung and Sony, providing support and encouraging development. As a result of this, over time the need to circumvent hardware restrictions to install unofficial firmware has lessened as an increasing number of devices are shipped with unlocked or unlockable bootloaders, similar to Nexus series of phones, although usually requiring that users waive their devices' warranties to do so. However, despite manufacturer acceptance, some carriers in the US still require that phones are locked down, frustrating developers and customers. Android smartphones have the ability to report the location of Wi-Fi access points, encountered as phone users move around, to build databases containing the physical locations of hundreds of millions of such access points. These databases form electronic maps to locate smartphones, allowing them to run apps like Foursquare, Google Latitude, Facebook Places, and to deliver location-based ads. Third party monitoring software such as TaintDroid, an academic research-funded project, can, in some cases, detect when personal information is being sent from applications to remote servers. In August 2013, Google released Android Device Manager (ADM), a component that allows users to remotely track, locate, and wipe their Android device through a web interface. In December 2013, Google released ADM as an Android application on the Google Play store, where it is available to devices running Android version 2.2 and higher. As part of the broader 2013 mass surveillance disclosures it was revealed in September 2013 that the American and British intelligence agencies, the National Security Agency (NSA) and Government Communications Headquarters (GCHQ) respectively, have access to the user data on iPhone, BlackBerry, and Android devices. They are reportedly able to read almost all smartphone information, including SMS, location, emails, and notes. Further reports in January 2014 revealed the intelligence agencies capabilities to intercept the personal information transmitted across the internet by social networks and other popular apps such as Angry Birds, which collect personal information of their users for advertising and other commercial reasons. GCHQ has, according to The Guardian, a wiki-style guide of different apps and advertising networks, and the different data that can be siphoned from each. Later that week, the Finnish Angry Birds developer Rovio announced that it was reconsidering its relationships with its advertising platforms in the light of these revelations, and called upon the wider industry to do the same. The source code for Android is open source; it is developed in private by Google, with the source code released publicly when a new version of Android is released. Google publishes most of the code (including network and telephony stacks) under the non-copyleft Apache License version 2.0. which allows modification and redistribution. The license does not grant rights to the "Android" trademark, so device manufacturers and wireless carriers have to license it from Google under individual contracts. Associated Linux kernel changes are released under the copyleft GNU General Public License version 2, developed by the Open Handset Alliance, with the source code publicly available at all times. Typically, Google collaborates with a hardware manufacturer to produce a flagship device (part of the Nexus series) featuring the new version of Android, then makes the source code available after that device has been released. The only Android release which was not immediately made available as source code was the tablet-only 3.0 Honeycomb release. The reason, according to Andy Rubin in an official Android blog post, was because Honeycomb was rushed for production of the Motorola Xoom, and they did not want third parties creating a "really bad user experience" by attempting to put onto smartphones a version of Android intended for tablets. Members of the Open Handset Alliance, which include the majority of Android OEMs, are also contractually forbidden from producing Android devices based on forks of the OS; in 2012, Acer Inc.was forced by Google to halt production on a device powered by Alibaba Group's Aliyun OS with threats of removal from the OHA, as Google deemed the platform to be an incompatible version of Android. Alibaba Group defended the allegations, arguing that the OS was a distinct platform from Android (primarily using HTML5 apps), but incorporated portions of Android's platform to allow backwards compatibility with third-party Android software. Indeed, the devices did ship with an application store which offered Android apps; however, the majority of them were pirated. 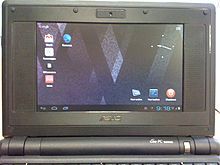 Android-x86 running on an ASUS EeePC netbook; Android has been unofficially ported to generic computers for use as a desktop operating system. Since then Android has grown to become the most widely used smartphone operating system and "one of the fastest mobile experiences available." Reviewers have highlighted the open-source nature of the operating system as one of its defining strengths, allowing companies such as Microsoft (Nokia X family), Amazon (Kindle Fire), Barnes & Noble (Nook), Ouya, Baidu and others to fork the software and release hardware running their own customised version of Android. As a result, it has been described by technology website Ars Technica as "practically the default operating system for launching new hardware" for companies without their own mobile platforms. This openness and flexibility is also present at the level of the end user: Android allows extensive customisation of devices by their owners and apps are freely available from non-Google app stores and third party websites. These have been cited as among the main advantages of Android phones over others. Android market share varies by location. In July 2012, "mobile subscribers aged 13+" in the United States using Android were up to 52%, and rose to 90% in China. During the third quarter of 2012, Android's worldwide smartphone shipment market share was 75%, with 750 million devices activated in total. In April 2013 Android had 1.5 million activations per day. As of May 2013, 48 billion apps have been installed from the Google Play store, and by September 2013, 1 billion Android devices have been activated. Android has the largest installed base of any mobile operating system and, as of 2013, devices running it also sell more than Windows, iOS and Mac OS X devices combined. In the third quarter of 2013, Android's share of the global smartphone shipment market was 81.3%, the highest ever, and the Android share—led by Samsung products—was 81.3%; During this time period over 261 million smartphones were sold globally, with around 211 million of those running Android. As of July 2013 the Google Play store has had over 1 million Android apps published, and over 50 billion apps downloaded. A developer survey conducted in April–May 2013 found that Android is used by 71% of mobile developers. The operating system's success has made it a target for patent litigation as part of the so-called "smartphone wars" between technology companies. Android devices account for more than half of smartphone sales in most markets, including the US, while "[o]nly in Japan was Apple on top" (September–November 2013 numbers). At the end of 2013, over 1.5 billion Android smartphones have been sold in the four years since 2010, making Android the most sold phone and tablet OS. Three billion Android smartphones are estimated to be sold by the end of 2014 (including previous years). According to Gartner research company, Android-based devices outsold all contenders, every year since 2012. In 2013, it outsold Windows 2.8:1 or by 573 million. In India and other countries Android is the most popular operating system including for browsing the web, according to Statcounter; "Mobile usage has already overtaken desktop in several countries including India, South Africa and Saudi Arabia" with several countries in Africa having done so already, including Ethiopia and Kenia (there mobile is 72.23%). While Android phones in the west commonly include Google's proprietary add-ons (such as Google Play) to the otherwise open source operating system, increasingly this is not done in emerging markets; "ABI Research claims that 65 million devices shipped globally with open-source Android in the second quarter of , up from 54 million in the first quarter"; depending on country, percent of phones estimated to be based only on Android's source code (AOSP), forgoing the Android trademark: Thailand (44%), Philippines (38%), Indonesia (31%), India (21%), Malasia (24%), Mexico (18%), Brazil (9%). Despite its success on smartphones, initially Android tablet adoption was slow. One of the main causes was the chicken or the egg situation where consumers were hesitant to buy an Android tablet due to a lack of high quality tablet apps, but developers were hesitant to spend time and resources developing tablet apps until there was a significant market for them. The content and app "ecosystem" proved more important than hardware specs as the selling point for tablets. Due to the lack of Android tablet-specific apps in 2011, early Android tablets had to make do with existing smartphone apps that were ill-suited to larger screen sizes, whereas the dominance of Apple's iPad was reinforced by the large number of tablet-specific iOS apps. Despite app support in its infancy, a considerable number of Android tablets (alongside those using other operating systems, such as the HP TouchPad and BlackBerry PlayBook) were rushed out to market in an attempt to capitalize on the success of the iPad. InfoWorld has suggested that some Android manufacturers initially treated their first tablets as a "Frankenphone business", a short-term low-investment opportunity by placing a smartphone-optimized Android OS (before Android 3.0 Honeycomb for tablets was available) on a device while neglecting user interface. This approach, such as with the Dell Streak, failed to gain market traction with consumers as well as damaging the early reputation of Android tablets. Furthermore, several Android tablets such as the Motorola Xoom were priced the same or higher than the iPad, which hurt sales. An exception was the Amazon Kindle Fire, which relied upon lower pricing as well as access to Amazon's ecosystem of apps and content. This began to change in 2012 with the release of the affordable Nexus 7 and a push by Google for developers to write better tablet apps. According to International Data Corporation, shipments of Android-powered tablets surpassed iPads in Q3 2012. At end of 2013, over 191.6 million Android tablets had sold in three years since 2011. This made Android tablets the most-sold type of tablet in 2013, surpassing iPads in the second quarter of 2013. Charts in this section provide breakdowns of Android versions, based on the devices accessing the Play Store in a seven-day period ending on September 9, 2014. Therefore, the statistics exclude Android forks that do not access Google Play, such as Amazon's Fire tablets. There has been some concern about the ease with which paid Android apps can be pirated. In a May 2012 interview with Eurogamer, the developers of Football Manager stated that the ratio of pirated players vs legitimate players was 9:1 for their game Football Manager Handheld. However, not every developer agreed that piracy rates were an issue; for example, in July 2012 the developers of the game Wind-up Knight said that piracy levels of their game were only 12%, and most of the piracy came from China, where people cannot purchase apps from Google Play. In 2010, Google released a tool for validating authorized purchases for use within apps, but developers complained that this was insufficient and trivial to crack. Google responded that the tool, especially its initial release, was intended as a sample framework for developers to modify and build upon depending on their needs, not as a finished piracy solution. In 2012 Google released a feature in Android 4.1 that encrypted paid applications so that they would only work on the device on which they were originally installed from the Google Play Store, but this feature has been temporarily deactivated due to technical issues. Both Android and Android phone manufacturers have been involved in numerous patent lawsuits. On August 12, 2010, Oracle sued Google over claimed infringement of copyrights and patents related to the Java programming language. Oracle originally sought damages up to $6.1 billion, but this valuation was rejected by a United States federal judge who asked Oracle to revise the estimate. In response, Google submitted multiple lines of defense, counterclaiming that Android did not infringe on Oracle's patents or copyright, that Oracle's patents were invalid, and several other defenses. They said that Android is based on Apache Harmony, a clean room implementation of the Java class libraries, and an independently developed virtual machine called Dalvik. In May 2012, the jury in this case found that Google did not infringe on Oracle's patents, and the trial judge ruled that the structure of the Java APIs used by Google was not copyrightable. In addition to lawsuits against Google directly, various proxy wars have been waged against Android indirectly by targeting manufacturers of Android devices, with the effect of discouraging manufacturers from adopting the platform by increasing the costs of bringing an Android device to market. Both Apple and Microsoft have sued several manufacturers for patent infringement, with Apple's ongoing legal action against Samsung being a particularly high-profile case. In October 2011, Microsoft said they had signed patent license agreements with ten Android device manufacturers, whose products account for "70% in the U.S.". and 55% of the worldwide revenue for Android devices. These include Samsung and HTC. Samsung's patent settlement with Microsoft includes an agreement that Samsung will allocate more resources to developing and marketing phones running Microsoft's Windows Phone operating system. Google has publicly expressed its frustration for the current patent landscape in the United States, accusing Apple, Oracle and Microsoft of trying to take down Android through patent litigation, rather than innovating and competing with better products and services. In 2011–12, Google purchased Motorola Mobility for US$12.5 billion, which was viewed in part as a defensive measure to protect Android, since Motorola Mobility held more than 17,000 patents. In December 2011, Google bought over a thousand patents from IBM. In 2013, Fairsearch, a lobbying organization supported by Microsoft, Oracle and others, filed a complaint regarding Android with the European Commission, alleging that its free-of-charge distribution model constituted anti-competitive predatory pricing. The Free Software Foundation Europe, whose donors include Google, disputed the Fairsearch allegations. Ouya, a video game console which runs Android, was one of the most successful crowdfunding campaigns on the website Kickstarter. The open and customizable nature of Android allows it to be used on other electronics aside from smartphones and tablets, including laptops and netbooks, smartbooks, smart TVs (Android TV, Google TV) and cameras (E.g. Galaxy Camera). In addition, the Android operating system has seen applications on smart glasses (Google Glass), smartwatches, headphones, car CD and DVD players, mirrors, portable media players, landline and Voice over IP phones. Ouya, a video game console running Android, became one of the most successful Kickstarter campaigns, crowdfunding US$8.5m for its development, and was later followed by other Android-based consoles, such as Nvidia's Project Shield — an Android device in a video game controller form factor. Parrot unveiled an Android-based car stereo system known as Asteroid in 2011, followed by a successor, the touchscreen-based Asteroid Smart, in 2012. In 2013, Clarion released its own Android-based car stereo, the AX1. In January 2014 at Consumer Electronics Show, Google announced the formation of the Open Automotive Alliance, a group including several major automobile makers (Audi, General Motors, Hyundai, and Honda) and Nvidia, which aims to produce Android-based in car entertainment systems for automobiles, "[bringing] the best of Android into the automobile in a safe and seamless way." On June 25, 2014, at Google I/O, it was announced Android TV, a Smart TV platform, is replacing the previously released Google TV. On June 26, 2014, Google announced Android Auto for the car. Last updated on 1 November 2014 at 07:33.